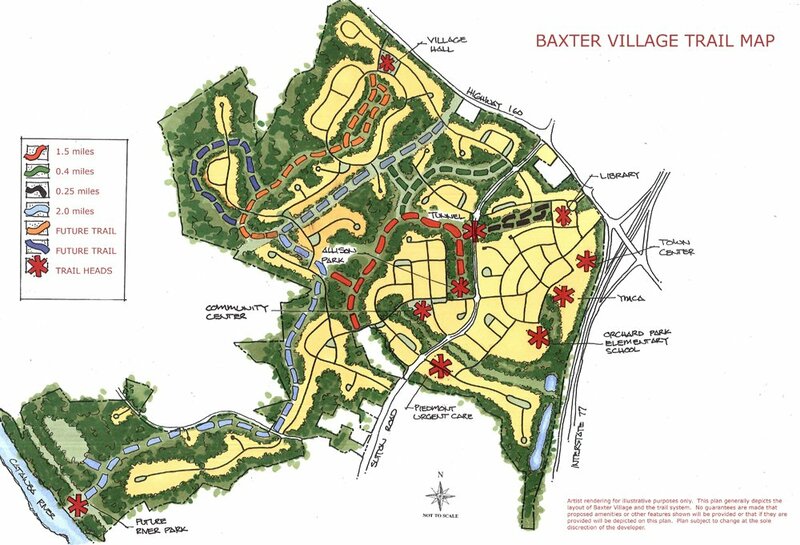 Baxter Village, a master-planned community,? is located in the Fort Mill SC Township near Interstate 77 and Hwy 160.? Baxter Village is unique new concept community where sidewalks and front porches frame the streets and the entire neighborhood is a place to live, work, go to school, shop, eat, and more. One of the main features of Baxter Village is Baxter Town Center. The town center is a place to shop, dine and socialize.? The main street called Market Street, is reminiscent of a quaint downtown where merchants know your name and hospitality “southern style”. Watch this testimonial video of David and Kelley MacDonald?on why they chose Baxter Village to buy a home. 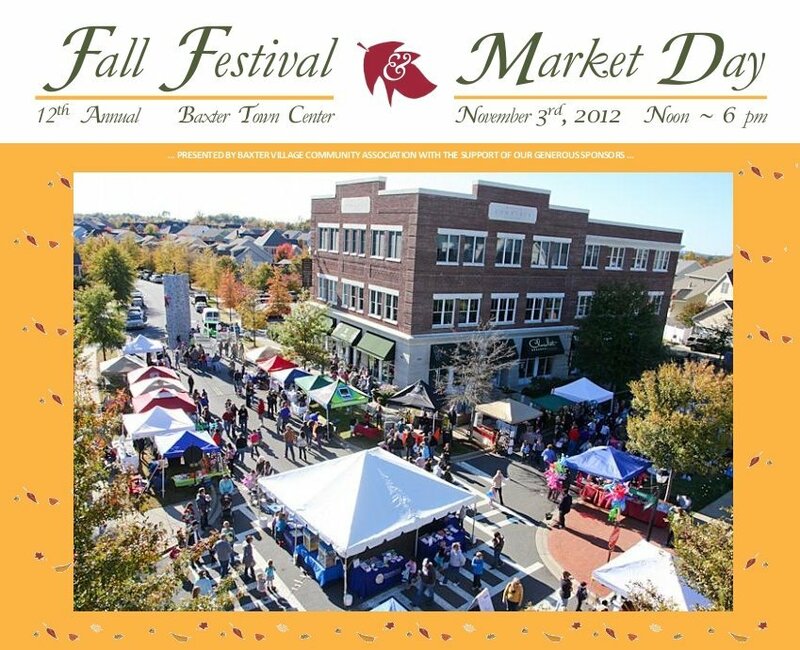 In Baxter Village and Baxter Town Square you’ll find restaurants, wine bar, boutiques,? chocolate confections, pet pampering and?unique monogrammed gifts,? dance studio, Pilates or scrapbooking, dry cleaner, coffee shops, YMCA, daycare, salons and spa, photographer, library and urgent care center, and offices to rent all right in the Baxter Village neighborhood. Do you like to jog, bike ride, or walk? Baxter Village has over 500 acres of parks, trails, and woods.